Apple is launching Apple TV+, a new streaming service that will run alongside Apple TV Channels, a new a la carte offering that will enable users to watch their pay TV and streaming subscriptions such as HBO and Showtime in one place. Speaking at the Apple Showtime event, CEO Tim Cook said that Apple had “more to contribute to the TV experience”. “We believe deeply in the power of creativity…because great stories can change the world,” he said. Former Sony executives Zack van Amburg and Jamie Erlicht will be in charge of programming for the Apple TV+ venture. The pair introduced creative partners for the service including Steven Spielberg, JJ Abrams, M Night Shyamalan, Sofia Coppola, Jennifer Aniston and Reese Witherspoon. 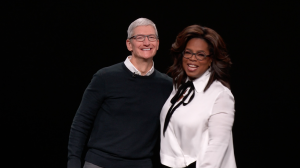 The headliner, introduced afterwards by Cook, was Oprah Winfrey. 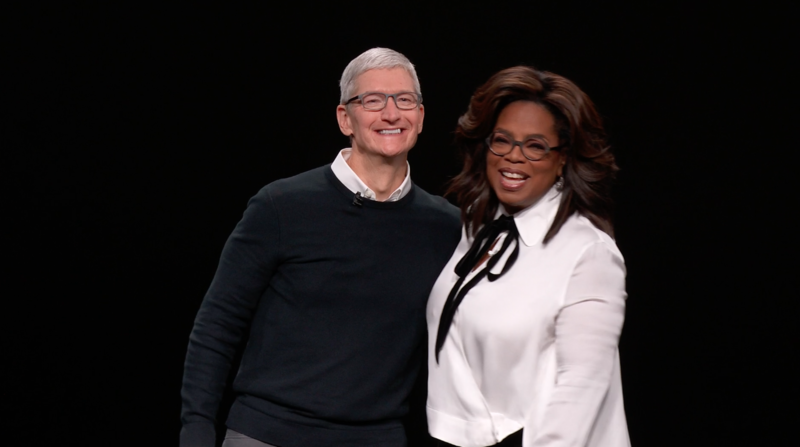 Winfrey said she had joined forces with Apple “to serve this moment, because the Apple platform allows me to do what I do in a new way”. She said her intention was “to illuminate consciousness”. Two documentaries, Toxic Labor, focusing on women and the workplace, and a multipart series focusing on mental health, are in the pipeline. She will also bring a version of Oprah’s Book Club to the platform. Spielberg had earlier appeared on stage to endorse the service. He said that the old US Amazing Stories sci-fi magazine brand would be resurrected by Amblin Entertainment for Apple TV+, housing a series of sci-fi stories. The first series will be “a single imaginary experience” for users, he said. Spielberg was followed by Reese Witherspoon and Jennifer Aniston, who will star in The Morning Show, a new series focusing on morning news shows, focusing on the dynamic of men and women in the work space, that will also star Steve Carrell – who also appeared. Cook said that the Apple TV+ demo had just been “a sneak peak” with more to come. 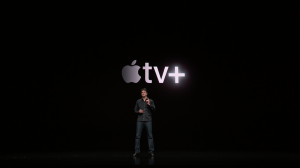 Peter Stern, VP of services at Apple, had earlier introduced Apple TV Channels. 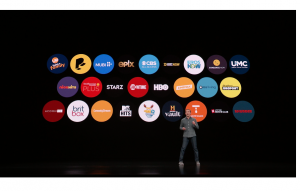 He said that subscribers to Spectrum, DirecTV , Optimum, Hulu, Playstation TV and Fubo, among others could now access their subscriptions within Apple TV. Apple is providing pay TV services on an a la carte bases, where users only pay for what they want within the Apple TV app, on demand and ad-free, whether online or off. Apple TV Channels will including premium offerings including HBO, Showtime, Starz and others. “This is all together in one place, the apple TV app,” said Stern. The Apple TV app has meanwhile been redesigned. The app includes an editorial recommendation service, complemented by an machine-learning based recommendation system. Users can browse and play shows from all their subscriptions within the Apple TV App. in a major shift, Apple’s TV services will be available on smart TVs for the first time, including on Samsung devices in the spring, followed by Sony, LG and Vizio. The service will also be available on Roku and Amazon Fire TV devices. “The roll out of new subscription based services paves the way for the introduction of new business models such as all you can eat bundles like Amazon Prime. In the future we might even see users pay for a service bundle and receive a new iPhone every year,” said Paolo Pescatore, tech, media and telco analyst at PP Foresight. Pescatore said that content aggregation was now “the Holy Grail”. “There is too much fragmentation in video/TV. No one wants to sign up to different services and have numerous apps. It is a disastrous experience,” he said.